A large military barracks made up of two three-storey buildings which was referred to as the Middleside Barracks because it was constructed in the middle side sector of the Island. Personnel of the 60th Coast Artillery Regiment and the 91st Philippine Scout Coast Artillery Regiment were billeted in this barracks. 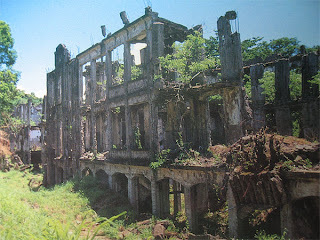 It was also briefly occupied by elements of the 4th Marine Regiment upon their arrival in Corregidor on December 1941.